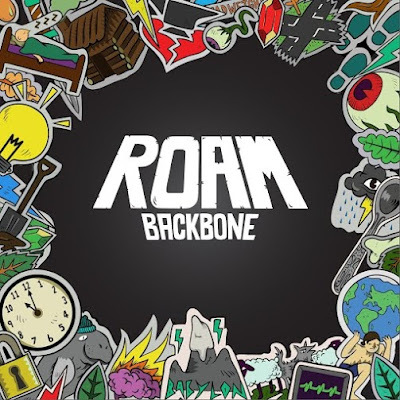 From seemingly coming out of nowhere in late 2015, ROAM are set to have a very successful 2016. I spoke to bass player Matt Roskilly to discuss influences, touring life, festival appearances and what he thinks 2016 will bring for the band. ROAM first came to my attention when they appeared on Scuzz TV's UK Throwdown special earlier in the year, where I first heard their single 'Deadweight'. Their pop punk necessities mixed with a heavier intro and thrash guitars got me very excited for what else this brand new band could produce, and the release of their debut album in January was far from disappointing; it was great to hear pop punk return even further to its roots, and for a band to bring classic elements that made up 90s and early 00s pop punk into 2016. Matt hoped the appearance on Scuzz would increase their fan base by rock fans happening to stumble across them, and I can confirm they have at least one new fan in the shape of myself. When listening to the tracks from Backbone, it is very easy to pick up on some of the band's influences, especially the era they came from. It came as no surprise when Matt told me their influences lie with bands like Sum 41 and Set Your Goals, as well as taking inspiration from their very varied music taste as a band, with Matt admitting they all listen to 'stuff like Slipknot to Shakira', and whilst heavier undertones are easy to pick up on, I couldn't personally detect any Latin American influences in their music (maybe next album, lads?). It's great to see that the band are still inspired by the bands they listened to growing up, with bands like Blink 182 and Good Charlotte arising when discussing topics like their dream gig line up on the long journeys in their van. Being enclosed in a van for hours on end with 'zero privacy' doesn't strike anyone as a great time, but Matt assured me he 'wouldn't change [touring life] for the world'. The band are currently supporting Against the Current on their European tour, and are gearing up to play alongside bands like New Found Glory, Mayday Parade and Four Year Strong at Slam Dunk Festival this year, celebrating their 10th year with an incredible line up. I'm glad the band enjoy each others' company and their beloved van, because they have a very busy year of tours ahead of them, and Matt couldn't be any more excited. The band as a whole are looking forward to whatever 2016 throws at them, as well as their already set in stone plans. As well as 'endless touring' and seeing the world, Matt let me know that they will also 'get on with writing some new material', which he describes as 'always exciting', and I don't know about you, but I am definitely excited about hearing how the band develop further in the future, and build on their already solid foundations. 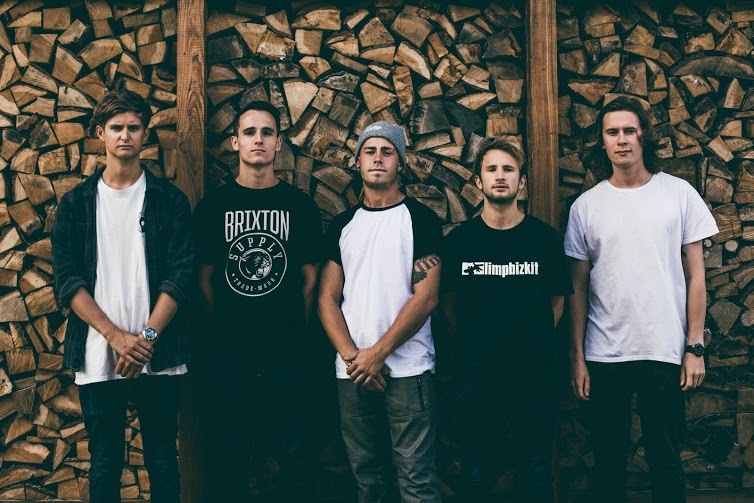 2016 sounds like a very promising year for the band, and we could be hearing the name ROAM around the pop punk scene a lot more by the time 2017 rolls around. Make sure to check out ROAM when they return home for the UK leg as support for Against the Current, playing in London, Leeds, Birmingham and Hatfield in May, before hitting up Slam Dunk Festival. Also make sure you give their debut album Backbone a listen on iTunes or Spotify. 2015 was such a good year for music that it's almost sad to see the back of it! With some killer festival lineups, record breaking albums and a lot of huge bands going to extraordinary lengths to prove why they are just so loved, it would be a shame not to look back over the past 12 months in music, and see who really stood out. The lads from Sheffield have gone above and beyond towards the end of 2015, and after the long awaited release of their album That's The Spirit, everyone wants a piece of the band who used to be shunned for their heavy riffs and often deep lyrics. Claiming both the second and top spot on most definitive rock countdowns of 2015 singles with Drown and Throne, this look back over the year would not be the same without mentioning the success the band has gained. Their newest album has recently gone gold, and I don't think it will be long before we see pictures of the band clutching a platinum disc, which would be well deserved. Many have said the band have changed their sound, and I cannot disagree, however, I also cannot fault That's The Spirit, and it is definitely up there with my favourite albums of the year. A huge tour, a Glastonbury headline spot and a broken leg, if you haven't heard about the Foo Fighters this year, where have you been? 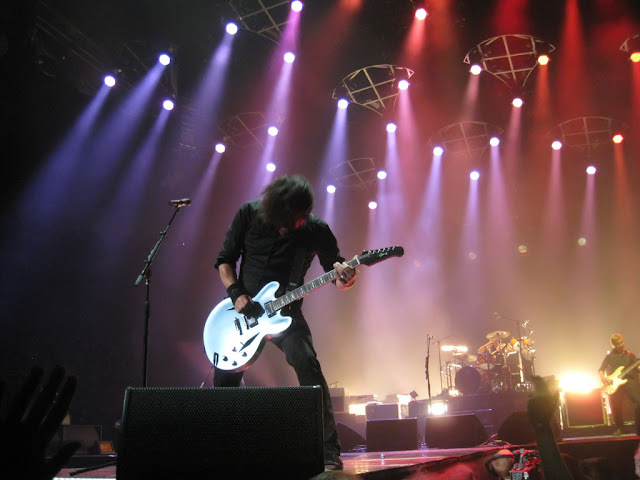 Dave Grohl has yet again become one of my heroes by showing everyone that shows and tours are still doable with a broken leg, even finishing the shows you broke you leg in the middle of! I'll admit, I was a little disappointed when the headline slot had to be given up, and although Florence and the Machine did a great job of stepping up to the plate, it would have been great to see some of the most influential musicians of today teaching Glastonbury how it's done. The band released their surprise EP Saint Cecilia right at the end of 2015, and after the Paris attacks in November, decided to use it as a way to raise money for those affected, proving once again how amazing the band can be. For now, you can stream the EP for free on the usual outlets, or download it for free from the official website. Not only did Fall Out Boy release yet another stonker of an album in early 2015, they also treated UK fans to their second arena tour in two years. With questionable support from indie pop duo Matt and Kim and British rapper Professor Green, the pop punk quartet proved that you don't have to be a rock fan to appreciate their music. While it may have been released in 2014 in the States, I cannot mention Fall Out Bot without commenting on their theme song for the incredible Disney film Big Hero 6. The film featured a young boy interested in robots who gets his design stolen and with the help of his brother's friends seeks the person who did it, as well as Baymax, the huge white robot everyone wants in their squad. Fall Out Boy's Immortals was the huge theme song, not only played in the credits but also in the film, and I'm still hoping that it overtakes Let It Go as the most popular Disney song in the world (a girl can dream!). Sharing the fourth spot is Sleeping With Sirens and Piece The Veil. Their incredible world tour back in April was a force to be reckoned with and proved why the two bands are often categorised in the same genres. Pierce the Veil definitely bought the heavier side out of Sleeping With Sirens, and hearing Kellin Quinn feature on King For A Day Live was an experience I wish I could repeat every single day. 2016 looks set to be major for both bands. Pierce the Veil's long awaited new album is set to be released early in the year, whilst Sleeping With Sirens take their Madness album on tour for the second time in the UK in Spring. I certainly cannot wait for either, it will be great to hear some new music from Pierce the Veil and Sleeping With Sirens never fail to please. It's hard to believe that Pvris have only been in the mainstream since late 2014, as it feels like they have been around forever. After supporting huge established bands like Bring Me the Horizon and A Skylit Drive, the band have finally announced their first headline UK tour, and we are expecting amazing things from them. For a band that have only been around for a couple of years, their statistics are incredibly impressive. Streams of their songs have reached over 6 million on Spotify, and having to upgrade venues for over half their UK tour dates, Pvris may as well have been around as long as bands selling out arenas. They started 2016 by playing on Jimmy Kimmel's prime time show in the States, and it will be interesting to see how the Massachusetts trio wave goodbye to what will be the biggest year in their careers so far. After years and years of rumours and speculation, Red Hot Chili Peppers will FINALLY be gracing the main stage over the weekend at both Reading and Leeds Festivals. The time has come to don your silver body paint, conception art and runaway taxi driver costumes to mosh along to classics like Give It Away Now, Californication, Under the Bridge, Can't Stop and Dani California. Other bands to get excited about include R&L first timers Twenty One Pilots. With a huge surge in their popularity after performances at MTV awards shows and fans spreading the word online, TOP are set to bring incredible energy to R&L. The 1975 are back on the festival scene this year after some time off working on material for their new album. With Love Me already dominating the indie charts, I am looking forward to seeing what else they have to offer before hitting the circuit in 2016. After many successful festival performances with their debut album, I am sure they will be welcomed back to R&L like an old friend. It's been one crazy year for punk duo Slaves with a Mercury Prize nomination, and winning a number of other awards including Kerrang's Spirit of Punk award, they are promising an even bigger and better show than this year's performance at R&L. Expect shouting, mosh pits and tons of celebrity fans mulling around the stage. Other acts announced so far are Courteeners, Boy Better Know, DJ EZ, Crossfaith, Hinds and Rat Boy. Tickets are available now from the official Reading and Leeds websites. In case you have forgotten, it's Father's Day on Sunday and I have hand selected some of the best music-based gifts to treat your dad to. Whether he enjoys strumming his guitar or revisiting the past, these gifts will make this Sunday the best Father's Day yet. 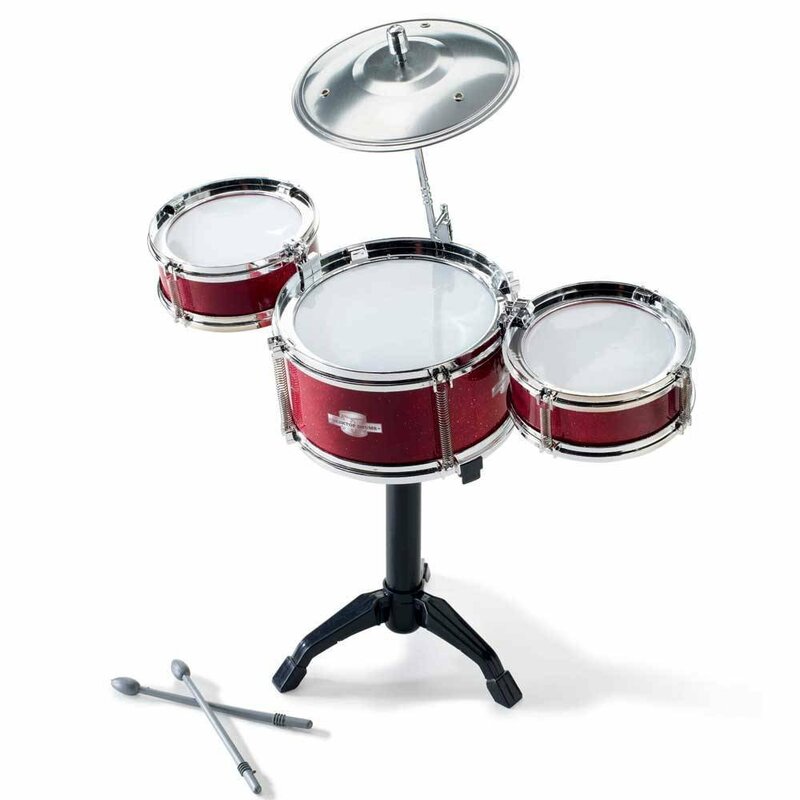 If you have a bit of money saved up in order to wow your dad this Sunday, treat him to this incredible piece of kit. As well as allowing your dad to play his old vinyl on the felted, three speed turntable, he can also tune into his favourite radio station, dig out some CDs and also play the most recent MP3s. 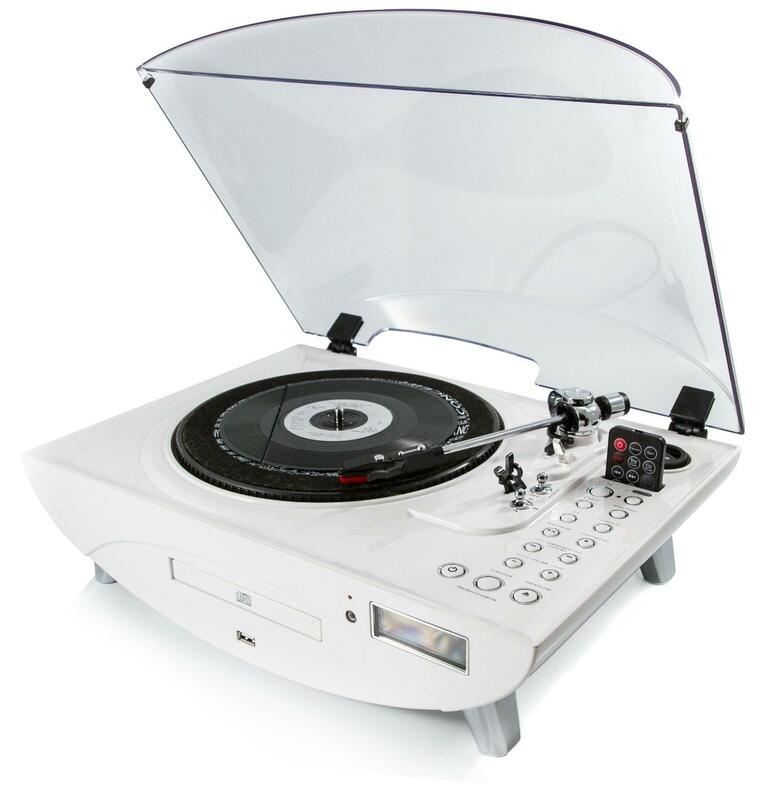 This turntable is great for dads who love to go back in time and let music transport them to their happiest memories, whether this was last week or 40 years ago. I received this turntable as a gift a few weeks ago (after months of begging before my birthday) and I have no complaints at all. The design, usability and sound quality are all impeccable and at £139.99, it's worth splashing out a little extra. 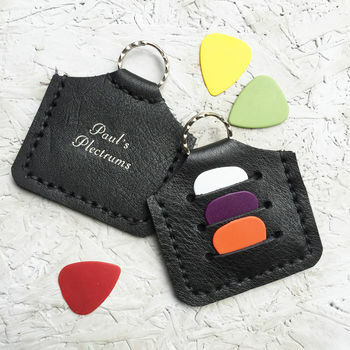 Losing plectrums is an everyday occurrence to any guitar player, so if your dad still enjoys rocking out, help him keep track of his favourite picks, and let any lurking plectrum thieves know that they are not up for grabs! This keyring is only £9.95 and is great for those who want to show their dad they care, but also need to keep a close eye on their wallets. For something a little more subtle and classy, let your dad wear his music on his sleeve. 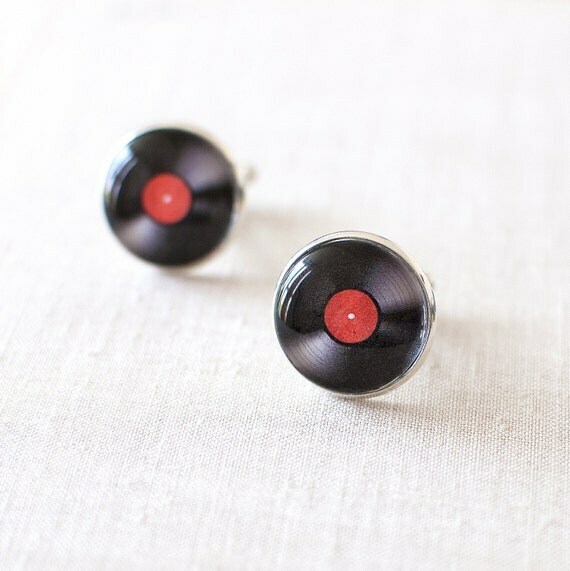 There are so many sets of music-related cuff links out there, but these vinyl records look amazing and will keep a shirt and tie looking smart. These cuff links may look expensive, but at only £16.16, they are a great affordable choice for a vintage-loving dad on Father's day. If all else fails, go with your gut. His favourite album he lost years ago, a print of his favourite lyrics or even concert tickets are all great for dads who still love music. Have a great Father's Day and treat your dad to a well earned day off. There are only a few days before the gates of the biggest festival for the UK rock scene open. It feels like forever since last year's festival, but this year the organisers of Download have gone above and beyond to create the ultimate rock experience. Yes, there are some amazing bands like Kiss, Slipknot and Muse who are ready to blow your minds, but there are also some great activities for you to try out while you're bathing in rock goodness, or mud. Is there really much of an explanation needed for this one? You'll run around, shooting people with lasers. It will be amazing. You'll probably be very drunk. And is there really anything better than that? This year's dress up theme is pro-wrestling, so expect to see fully grown men walking round in just a mask, a cape and speedos. 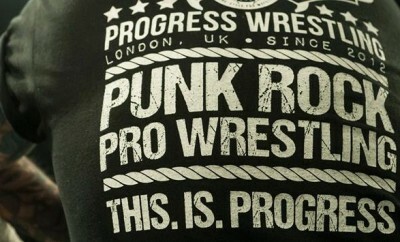 To fit in with the theme, Download ramping up the wrestling at Donnington by making some amazing additions to the programme, including the country's best independent wrestlers, Progress wrestling and continuing the long standing tension between the reigning champion Jimmy Havoc and Download's own figurehead, Download Dog. Have you ever dreamy of playing to the masses at Donnington? Got your own band who need a few extra fans? Download's Dog's Bed Stage lets YOU become the star of the festival with their fully equipped open mic experience. Just try not to be too bad. Kiss are set to close the festival with a bang on the Sunday night, but let's face it, are you going to be alive enough to paint your own face like the band? Visit Download's face painting station to get your Kiss look expertly applied. Don;t forget to bring your own tongue! A heavy rock festival is probably the last place you expect to be going on blind dates, but Download have teamed up with Heavy Metal Dating to bring speed dating to all the single festival goers. 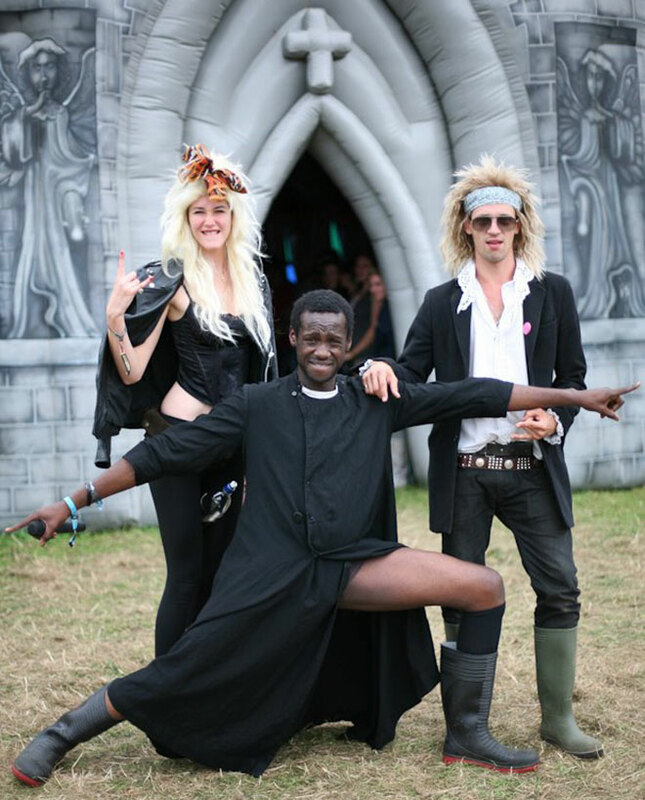 If it all goes well, why not pay a visit to the inflatable chapel where you can marry whoever and whatever you like? Will it be that certain someone you've been with for a while now, that random person you bought back to your tent last night, your beloved case of beer, or if you're lucky, your favourite band member? Just remember it's not actually legal, so you won;t end up in court a few months down the line filing for a divorce. Don;t forget you can also watch your favourite bands at this music festival, so try not to get so caught up in marrying everything and shooting lasers at your mates that you miss your favourite band! Have an awesome time and stay safe. It's been a busy week in the music world with some huge releases and the start of the festival season! Here's 4.3.5's highlights of what has been an incredible week. We have seen 2 huge new albums from Victory Records this week. On Monday Broadside and Victorian Halls unleashed some incredible new music, and neither band has disappointed. 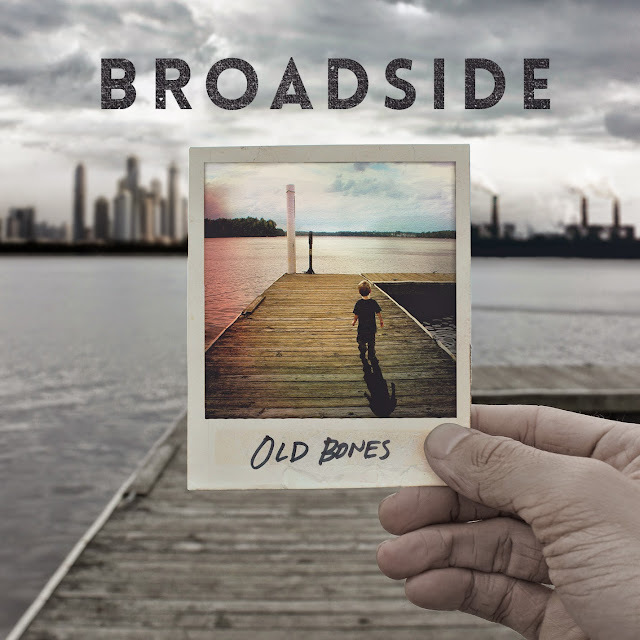 Broadside's Old Bones has the power to transport any pop punk defender back to the good old days when the movement was first starting. They have also released their brand new video for Damaged Kids off the album, be sure to check it out. Victorian Halls have released Hyperalgesia (I have no idea how to pronounce it either!) and have impressed here at 4.3.5 HQ. Their style is very difficult to pinpoint, but they sound like the musical lovechild of Enter Shikari and Fearless Vampire Killers with their electronic undertones with a gothic, creepy aura provided by some killer vocals. These are really worth a listen if you are a fan of anything from the most popular indie bands to the heaviest of rock. It really excites me when festival coverage starts popping up on my TV, and the extreme mixture of genres at Radio 1's Big Weekend means it is the perfect way to get everyone hyped for the British festival season (one of the best in the world). With amazing bands like Fall Out Boy, the Foo Fighters and Muse, the weekend is bound to set the standards high for the rest of the summer. I have been doing a bit of digging this week and found some little crackers for you all to soak up and enjoy over the next week. The first song comes from a group of guys hailing from Cheshire in England. Indigo Shores are a relatively new band with some big plans for the future. If this band don't take you back to the summers of the late 2000s with their indie riffs and catchy lyrics, are you sure you sure you lived through them?! A little bit of credit must go to Spotify this week for throwing this amazing cover of Dark Horse at me. I was (unfortunately) a bit of a fan of the original when it first came out, but like most pop songs it became tired and overplayed. Listening to Our Last Night's over of the sugar coated anthem was like listening to a completely different song and actually brings a whole new level of darkness to Katy Perry's hit. Let me know what you have been loving this week and if there is anything I should feature in next week's round up! You could be forgiven for thinking this band were part of the revolution that founded what we now know as pop punk, but you couldn't be more wrong. Broadside were formed just under 5 years ago, bringing the heart and soul of classic pop punk back to a current audience. It's easy to see how their influences have shaped their music. With influences like New Found Glory and Comeback Kid, it becomes obvious why their prominent classic pop punk guitar riffs and melodies are a major part of their music. 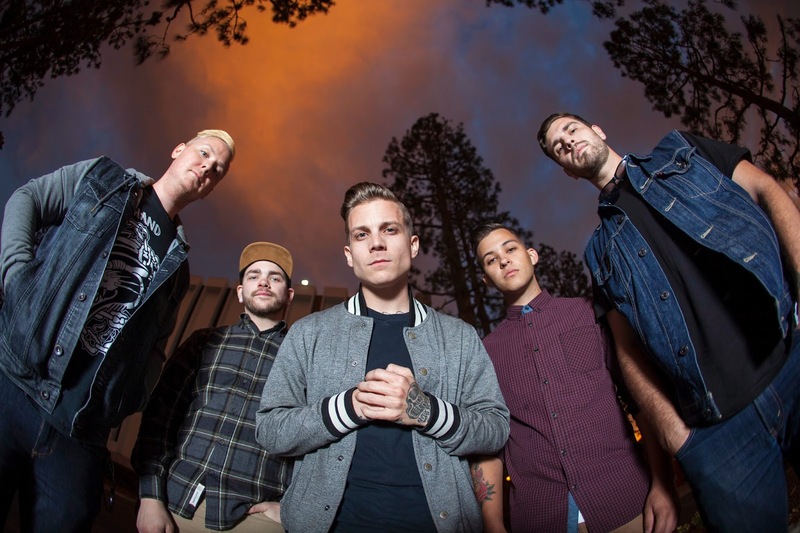 Andrew noted that the band would love to work with New Found Glory because they have managed to stay relevant for such a long time in the game, and here at 4.3.5, I think Broadside are fully capable of achieving this themselves years down the line. Warped Tour has inspired so many pop punk bands on the scene today, and it's also where Broadside's dreams of creating a band started. Finding each other online, and even stealing Dorian from other bands, Broadside have strived to create the best music they can, and were honoured to be featured in Alternative Press' '100 Bands You Need To Know' feature a few months ago. A list that has predicted the insanely huge careers of the likes of A Day To Remember, Simple Plan, Fall Out Boy, Paramore, Panic! At The Disco and so many others who have gone on to find worldwide recognition. The band do admit that they face their challenges. 'One of the hardest things I feel like we have had to face is balancing a life between being in a touring band and still having a manageable personal life' is an answer we hear in interview after interview with bands like Broadside, especially as they are still at that stage where they have to 'work dead end jobs' just to live when they are back at home, which I honestly hope is a life they do not have to live for much longer. While finding the time to have a personal life can be tough, the guys love touring and love the connection that touring with other pop punk bands can provide. They feel they 'automaticallt have that connection' with the other bands they tour with, making each trip on the road a lot more fun. Sometimes that could lead to too much fun as the band admitted they have had their rock and roll moments, before even hitting the big time! Touring with a band called Challenges. the guys threw some 'insane parties' in their practise space which led to a trashed rehearsal room and evictions, but we're sure this isn't the behaviour they will be bringing over to the UK. Stay tuned to 4.3.5 to find out when the band will be playing a British tour (which we hope will be soon). Be sure to preorder Old Bones which is released on May 19th. We are always looking to work with artists, well known or up and coming. Please contact us to discuss opportunities.